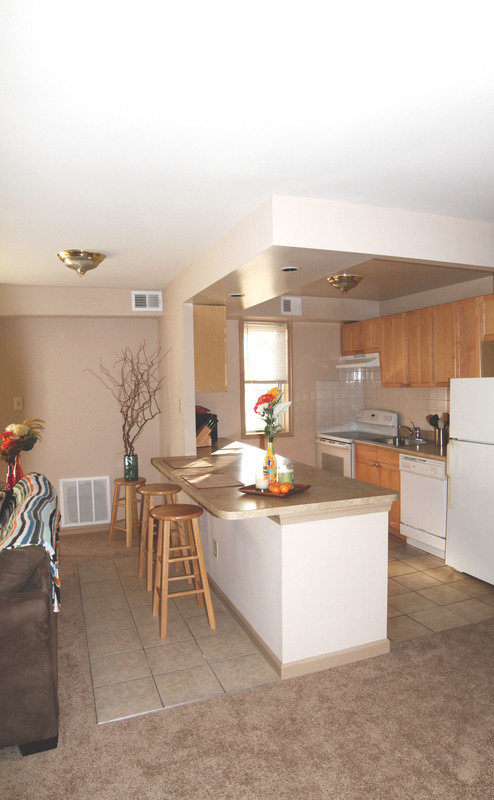 Our apartments are receiving a lot of updates, including new carpet and kitchens. This open floor plan allows for a lot of natural light. This area would easily fit a table and chairs for your loved ones to eat at! This large coat closet offers a generous amount of storage space. The bar area and large counter space allows for plenty of room to cook and entertain guests! 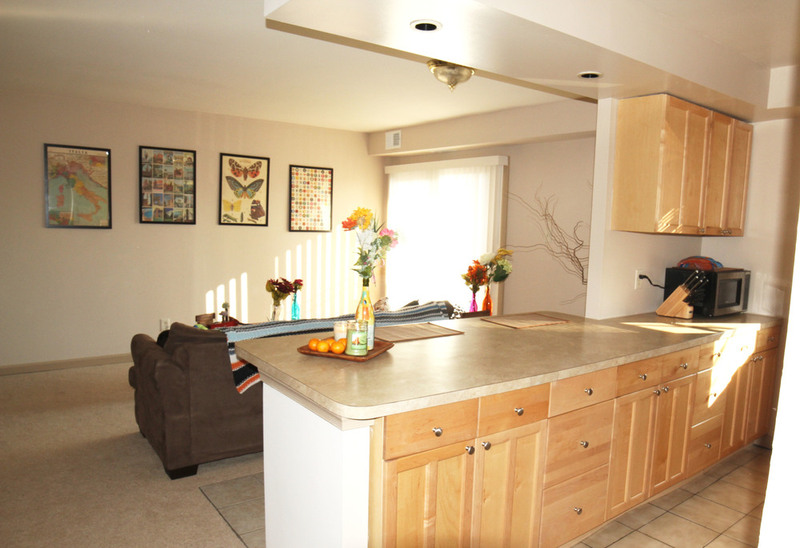 The kitchen has its own window, tons of cabinet space, and well kept appliances. The master bedroom has two windows and ample closet space! Closet in the master bedroom. The smaller bedroom is a great size, with two windows and plenty of closet space! Not every apartment here looks exactly the same. Here is an example of another type of entrance space we offer. 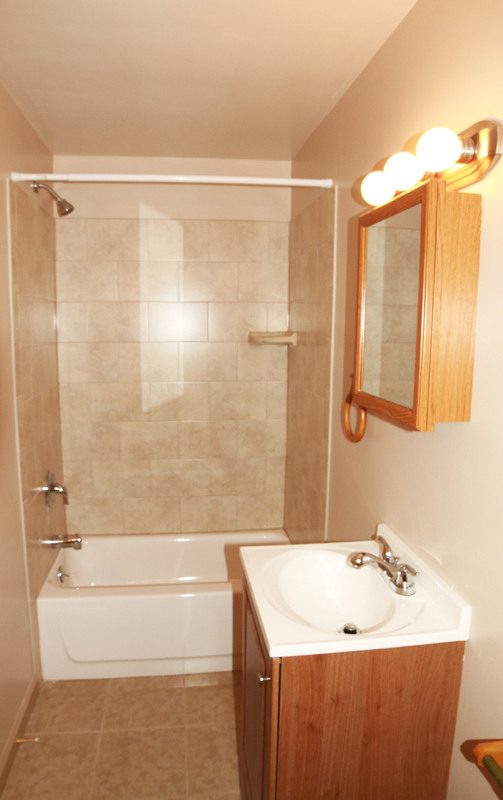 Our bathrooms feature two separate sinks and storage areas, along with a large shower and tub. The tile is new in most of our units! 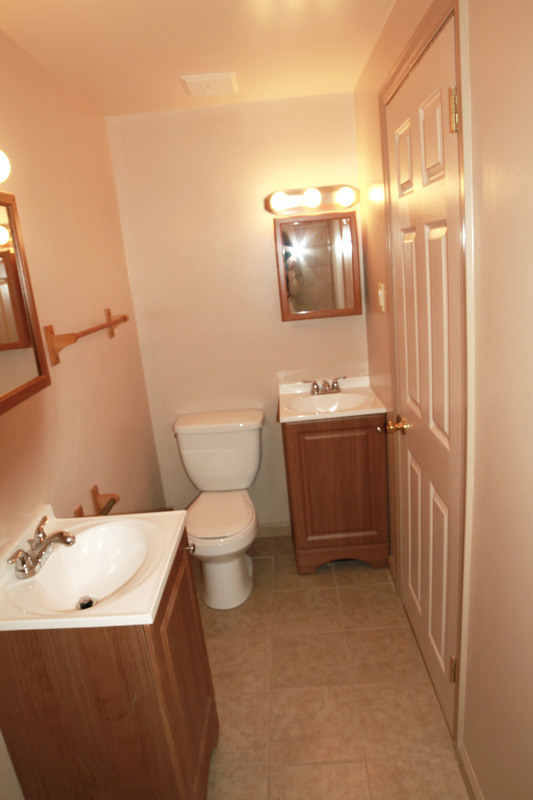 An example of our second style of bathroom. Everything you see here is brand new! Our outdoor deck space is the perfect size for a small table and chairs. Great for warm summer nights at home!